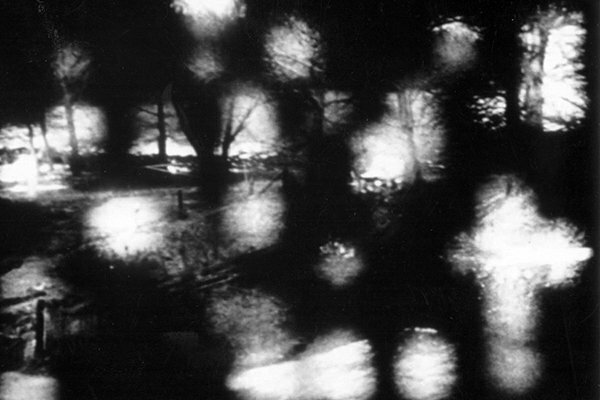 Kurt Kren was a vital figure in Austrian avant-garde cinema of the post-war period. 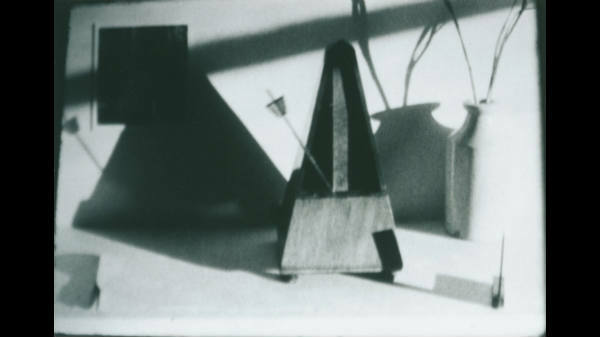 His structural films, often shot frame-by-frame following elaborately pre-scored charts and diagrams, have influenced filmmakers for decades, even as Kren himself has remained a nomadic and obscure public figure. Kurt Kren: Structural Films, edited by Nicky Hamlyn, Simon Payne, and A. L. Rees, brings together interviews with Kren, film scores, and classic out-of-print essays alongside the reflections of contemporary academics and filmmakers, to add much-needed critical discussion of Kren’s legacy. Taken together, the collection challenges the canonical view of Kren that ignores his underground lineage and powerful, lyrical imagery. To mark the launch of two new LUX DVD releases (Guy Sherwin - Short Film Series 1975 - 2014 and Nicky Hamlyn - Selected Works 1974 – 2012) LUX presents a special evening of screening and conversation with two of the UK's most renowned artist filmmakers, Guy Sherwin and Nicky Hamlyn. Each will present a personal selection of the other's films and together they will discuss their work and practices within wider British artists' moving image over the past 40 years. The new DVDs and other LUX publications will be available for a special launch price on the night. From the MFJ we are thrilled to announce the publication of Millennium Film Journal No. 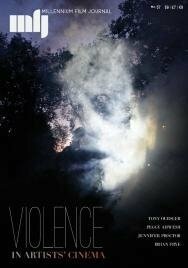 57 "Violence in Artists' Cinema." The copies arrived from the printer yesterday. This is the 35th year of the MFJ. The next issue, due in October, will be our anniversary issue, in which we have invited a number of writers to assess the changing condition of artists' cinema in the period of the journal's publication. It is appropriately titled "Since 78." The journal is entirely financed by sales and advertising . . . Every purchase helps keep us going. Please join us at no.w.here for our last event of 2012 to celebrate the launch of Sequence 3 which is jam-packed with artist's pages, interviews and essays, by Jayne Parker, Bruce McClure, Peter Kennard, A. L. Rees, Nicky Hamlyn, Joséphine Michel, Neil Henderson, Andrew Vallance, Nina Power, Esther Leslie, William Raban, Vicky Smith, Hysteriography, Mareike Bernien and Kerstin Schroedinger, William English, Gustave Morin. Sequence is edited by Simon Payne. Before we premiere the new publication we will be screening films by artist Karel Doing (new member), Jenny Baines (no.w.here member) followed by Middle Eastern and electro tunes by Fari Bradley (currently artist in residence on the no.w.here and Sound and Music Embedded residency programme). At long last, Criterion has announced the release date and contents of A Hollis Frampton Odyssey, their long-awaited edition of Hollis Frampton's films, rumored to be in preparation since 2010. The edition will be available both in DVD (2 discs, April 10th) and blu-ray (1 disc, April 9th), which comes as a pleasant surprise, since the rumors stated only a DVD edition. The list of works included, all of them newly restored in high-definition, is divided into three parts: his early films, a two selections of the Hapax Legomena and Magellan cycles. In a similar fashion as their Brakhage DVD editions, some films are introduced by an audio commentary and remarks by Frampton. The extras include an interview with Frampton from 1978, the performance A Lecture (1968), read by Michael Snow, and a selection of stills from his xerographic series By Any Other Name. 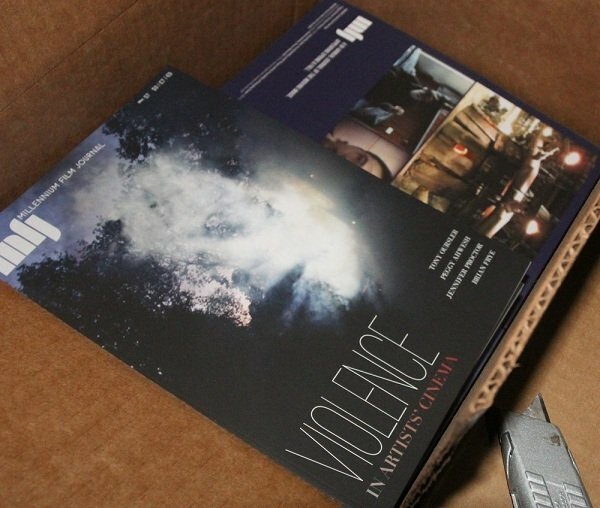 The DVDs/Blu-ray are accompanied by a booklet with an introduction by Ed Halter and texts on the films by Ken Eisenstein, Bruce Jenkins and Michael Zryd. For the third year running the BFI Filmstore teams up with Filmarmalade to celebrate their 2011 DVD series. Filmarmalade is a publisher and DVD label specialising in contemporary artists' film and video works. The Filmstore is proud to host the launch of Filmarmalade's latest batch: Mirza/Butler's The Exception and the Rule, Miranda Pennell's Why Colonel Bunny Was Killed and the world premiere screening of Adam Roberts' latest film Remake. The screening will be introduced by Gordon Shrigley from Filmarmalade and we hope to have all the artists present on the night. Antennae Collection is a newly-stablished independent publisher based in New York whose aim is to is to release '(unpublished) artistic film and print works... (from) both established and little known artists.' Its first release, 'Dialéctica en suspenso: Argentine Experimental film and video' is a 2-DVD set presenting a selection of eighteen film and video works from Argentina, curated by artists and scholars Pablo Marín and Andrés Denegri. The set includes a 230-page bilingual book with essays written by the curators, biographical information about the artists and film notes. The set will be released next July 15th in a limited edition of 1000 copies. Antennae Collection's second release will be a blu-ray compilation of experimental films by Claudio Caldini. The Canadian Filmmakers Distribution Centre (CFMDC) and Cinémathèque Québécoise have announced the edition of The Complete Works of Joyce Wieland: 1963-1986. To be released next March 25th, this 5-DVD set includes the complete film works of Wieland, spanning over twenty years and including her collaborations with Michael Snow, Hollis Frampton and Betty Ferguson. A multi-disciplinary artist, Wieland’s explorations of female sexuality, domestic life, ecology and Canadian nationalism put her at the forefront of feminist practice. Canadian Filmmakers Distribution Centre and the Art Gallery of Ontario will celebrate the launch of The Complete Works of Joyce Wieland DVD Box Set with a rare special screening of her films, Friday, March 25th, 2011 at the Art Gallery of Ontario, Jackman Hall. Guest speakers include Betty Ferguson, Su Rynard, Allyson Mitchell, Izabella Pruska-Oldenhof and Leila Sujir. The full set will be available for 141.25CAN$ and each DVD will also be available separately for 34.99CAN$ each. - The Centre of Modern Art Georges Pompidou has a fantastic addition to its publications with La Ville Moderne (The Modern City), a compilation of works related to the theme of the modern city with films by Henri Chomette, Eugène Deslaw, Moholy-Nagy and Peter Hutton, among others. PAL, 70 min., region free, 24,9€. - The Ann Arbor Film Festival releases the third volume with a selection of the best films presented in its 48th edition. Includes films by Semiconductor, Inger Lise Hansen, Jim Trainor,... The first 200 DVDs come in a screen-printed matteboard case, printed by VGKids, and include a set of five postcards with original artwork by filmmakers Martha Colburn, Lewis Klahr, Julie Murray, Michael Robinson and Deborah Stratman. NTSC, 106 min., region free, 18US$. - The Hidden Decade: Polish Video Art 1985-1995 is a book+4-DVD set published by the WRO Art Center that tries to cover 'a remarkable era in Polish art: an era when new artistic approaches were taking shape – an era full of social, political and cultural transformations'. PAL, 4 DVDs + 336p. book, Bilingual Polish/English, 490 min., region free, 35 €. - EAI's DVD and catalogue Vital Signals: Early Japanese Video Art is an amazing compilation of video-art produced in Japan in the 1960s and 70s. With works by Takahiko Iimura, Mako Idemitsu, Toshio Matsumoto, Katsuhiro Yamaguchi, CTG and many others. NTSC, 1 DVD9 + catalogue, 162 min., region free, 50 US$. - And what's probably one of the most important releases this year, the 5 double-sided DVD and catalogue set ETC: Experimental Television Center 1969-2009 is a gigantic compilation of the work produced in the Residency Program of the ETC during the last 40 years. Videos by Barbara Hammer, Gary Hill, Jud Yalkut, Peter Rose, Aldo Tambellini, Marisa Olson, Kristin Lucas, Lynne Sachs, Mark Street... NTSC, 5 DVD10 + catalogue, over 19 hours, region free, 50 US$ (yes, that cheap).